This book contains very useful and powerful activities which will increase your creativity, and reduce your stress. Two of the most valuable are the “Morning Pages” and the “Artist’s Date”. 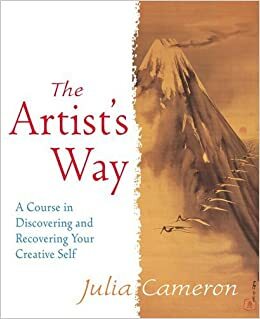 Julia Cameron and Mark Bryan lead you through a comprehensive 12-week program to recover, or unblock your creativity from a variety of barriers, including limiting beliefs, fear, self-sabotage, jealousy, guilt, addictions and other inhibiting forces. They show you how to replace those blocks with confidence and productivity, whether you’re an artist, writer, film director, or any kind of occupation. Link. Confronting and solving problems is a painful process which most of us attempt to avoid. And the very avoidance results in greater pain and an inability to grow both mentally and spiritually. 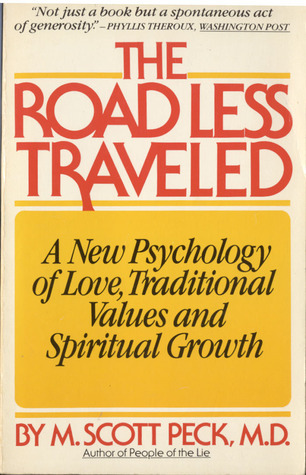 Drawing heavily on his own professional experience, psychiatrist Dr M. Scott Peck suggests ways in which facing our difficulties – and suffering through the changes – can enable us to reach a higher level of self-understanding. He discusses the nature of loving relationships: how to recognise true compatibility, and how to distinguish dependency from love. Link. If you have not come across the views and ideas of Taoists, as exemplified in the work of Lao-Tzu, called the Tao Te Ching, then you are in for a valuable experience. The ancient Taoists watched nature and people very carefully and observed recurring and enduring patterns. These observable patterns formed the basis of principles for living which are contained in the book. Although this book was written a very long time ago, it still has relevance and valuable messages for people living today. The book also has pictures which enhance the statements on the pages, and they are by Jane English. Also included is an introduction by the well-known writer and scholar of philosophy and comparative religion, Jacob Needleman. Link. Alice Miller is a world-famous Swiss psychoanalyst. In this book she describes the histories of people whose natural gifts and talents have been exploited by others. 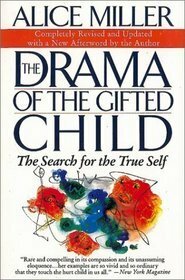 She shows how gifted children, by over adapting to the needs of their parents, lost their ability to experience and express their authentic feelings. It helps to illustrate the power of parents and their responsibilities towards their children and what happens when it goes wrong. Link. Dr Eric Berne was an American psychiatrist who worked for the American army, and his experiences of dealing with thousands of GI’s at the end of the Second World War lead to his creation of a very practical theory of personality. In this book he outlines what happens when people get together. People have needs for recognition, strokes and the structuring of their time. In order to achieve these goals, they have devised games which they play over and over again. Eric Berne gives examples and explanations of the most common games, and he also describes ‘game-free’ behaviour, which he calls intimacy. Link. 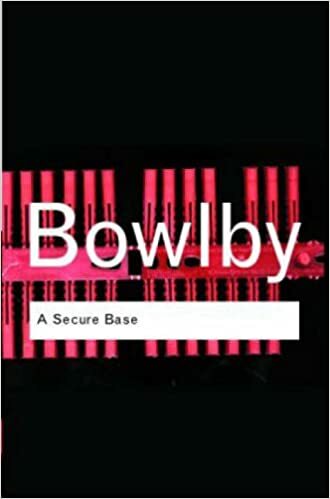 John Bowlby is a world-famous psychiatrist and the father of attachment theory. This particular book shows that the early interactions between the infant and the caregiver have a very deep and powerful impact on an infant’s social, emotional and intellectual growth. He shows how early childhood abuse and neglect are key factors in adult psychological problems. Link. Anne Dickson’s book has become world famous as one of the top books on how assertiveness techniques can transform people’s lives. It has become the core assertiveness training handbook, and it has helped millions of women all over the world to become more confident and communicate more assertively. The book shows the inadequacy of traditional ideas about a woman’s role and how you can become your own person. Link. His book describes a turning point that men have reached in their lives. He describes powerful accounts of rifts between fathers and sons, how men and women can get along better, and how boys can be raised to become healthy men. 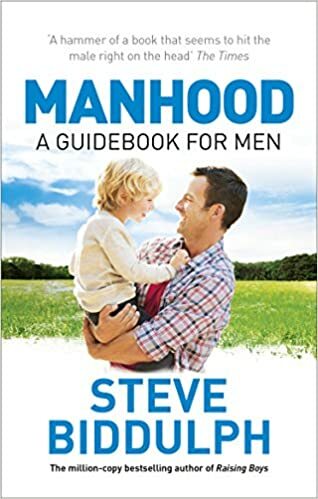 The book has a strong and powerful emotional impact on people who read it, and his book has an action plan for helping men live more authentic lives. Link. The title of this book in no way communicates what a little masterpiece of comfort and advice it is. It was created from the contents of lots of interviews with people, some of whom who had had really devastating things happen to them in their lives, and the accounts are written in the form of short, personal stories. The people who are interviewed explain how they managed to cope with adversity, and the techniques they developed. Its wisdom and relevance to people from all walks of life is outstanding and it provides comfort and reassurance for people. There should be a copy in every hotel bedroom, like there used to be a copy of the bible in all hotel rooms. Link. This book is an autobiography of Richard Wright’s early life, and examines Richard’s unhappy years in the Jim Crow South from 1912 to 1927. In each chapter, Richard relates painful and confusing memories that lead to a better understanding of the man a black, Southern, American writer who eventually emerges. Although Richard, as the narrator, maintains an adult voice throughout the story, each chapter is told from the perspective and knowledge that a child might possess. Yet, because the narrative is told with such force and honesty, the reliability of Richard’s memories is not questioned. By the story’s end, as Richard comes of age, the voice of the narrator and of the nineteen-year-old young man he has become merge into one. It is a very powerfully written book and develops your understanding of what the experience of living during that period must have been like. Link. 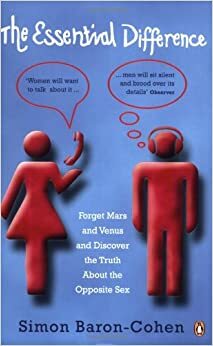 Men and women have always seemed to think in entirely different ways, from conversation and communication to games and gadgets. But are these differences created by society, or do our minds come ready-wired one way or another, with female brains tending towards interaction and male towards organisation? And could this mean that autism – rather than being a mental anomaly – is in fact simply an extreme male brain? Why are female brains better at empathising? How are male brains designed to analyse systems? And what really makes men and women different? Simon Baron-Cohen explores list-making, lying and two decades of research in a ground-breaking examination of how our brains can be male or female but always completely fascinating. It will make you look at your sister or brother in a different way, and possibly with more understanding and empathy. Link. In 1841, a free man, an African-American called Solomon Northup, who was a violinist, was living with his wife and children in Saratoga Springs, New York. Two men approached him and asked him if he wanted to join their theatrical company, for a two-week tour in Washington. However Solomon is kidnapped and sold as a slave in New Orleans and his abductors give him the name “Platt”. He is hired by a landowner and for twelve years, he labours in the plantations and experiences abusive treatment by his “owners”. This is an amazingly powerful film, beautifully acted and is an essential experience for people to have an understanding of the experience and trauma of racial prejudice and slavery. Link. It describes the experiences of a formerly successful banker as a prisoner in the prison of Shawshank after being found guilty of the murder of his wife and her lover. He said that he did not commit the crime. The film shows the man’s own individual way of dealing with his new, restricted and desolate life. As he gets used to the prison, he befriends a number of fellow prisoners, and the sanest of them is a wise, long-term inmate named Red. The film shows the strength that can be gained from others and how people can keep their hopes alive in the face of a desolate environment. Link. In early 1970’s England, a traditional Pakistani father finds his family moving away from their traditional religion. His family consists of six sons and one daughter. They all move in independent-minded directions, which all stem from when the eldest son runs away from home rather than keeping to his fate of an arranged marriage. When the next two sons also find out that their father has secretly been arranging marriages for them, they rebel and set off repercussions that forces the family to think, and question the structure of the family. It is a very entertaining film which also educates you at the same time. Link. The film starts off in a court of law, just as the defence and the prosecution submissions have taken place and then it shows the jury filing into the jury room to decide if a young man is guilty or innocent of killing his father. What begins as a very clearly cut case of murder soon becomes like a detective story and information emerges which starts creating doubt. All the assumptions, and prejudices and false reasoning of the jurors becomes apparent and it shows you how fragile the truth can be. Link. Henry Hobson is the owner of, and manager of a successful bootmaker’s shop in nineteenth-century Salford. A widower with a weakness for drinking, he tries forcefully to run the lives of his three unruly daughters, and to rule with a rod of iron. When he decrees ‘no marriages’ to avoid the expensive matter of settlements, his eldest daughter Maggie rebels and sets her sights on Will Mossop, Hobson’s best bootmaker in his shoe shop. Maggie and Will leave to start up their own shop and then his eldest daughter starts to help her sisters marry their chosen partners. This shows the courage and power needed to leave the family home and forge your own path in life. Link. “Schindler’s List” is based on the true story of the Nazi Czech business man Oskar Schindler, who used Jewish labour to start a factory in occupied Poland. As World War II progresses, and it becomes increasingly clear to everyone what the fate of the Jews will be, Schindler’s motivations switch from trying to make a profit to human sympathy and he is able to save over 1100 Jews from death in the gas chambers. This is a very moving film which shows what human nature can be like – its evil and good dimensions. Link. This is a film which is based on the true life experiences, in 1984, of a latent homosexual who goes to London to attend his first ‘Gay pride’ march, and he is befriended by a group of gay men and a lesbian. One of the men has a bookshop which they use as their base for their meetings. Not only are gays being threatened by Thatcher but the miners are on strike in response to her pit closures and Northern Irish activist Mark Ashton believes gays and miners should show solidarity. Almost by accident a mini-bus full of gays find themselves in the Welsh village of Onllwyn in the Dulais valley and through their sincere fund raising and Jonathan’s nifty disco moves persuade most of the community that they are on the same side. When a bigot tries to sabotage the partnership with a tabloid smear Mark turns it back on her with a hugely successful benefit concert to which most of the villagers, now thoroughly in tune with their gay friends, turn up. The miners are defeated and return to work but at the Pride march the following year a vast contingent of miners show up to repay their comrades with their show of support. A heart-warming and moving film! Link. On the day after Martin Luther King Jr. was murdered in April 1968, Jane Elliott’s third graders from the small, all-white town of Riceville, Iowa, came to class confused and upset. They recently had made Martin Luther King their “Hero of the Month,” and they couldn’t understand why someone would kill him. So Elliott decided to teach her class a daring lesson in the meaning of discrimination. She wanted to show her pupils what discrimination feels like, and what it can do to people. Elliott divided her class by eye colour — those with blue eyes and those with brown. On the first day, the blue-eyed children were told they were smarter, nicer, neater, and better than those with brown eyes. Throughout the day, Elliott praised them and allowed them privileges such as a taking a longer recess and being first in the lunch line. In contrast, the brown-eyed children had to wear collars around their necks and their behaviour and performance were criticized and ridiculed by Elliott. On the second day, the roles were reversed and the blue-eyed children were made to feel inferior while the brown eyes were designated the dominant group. What happened over the course of the unique two-day exercise astonished both students and teacher. On both days, children who were designated as inferior took on the look and behaviour of genuinely inferior students, performing poorly on tests and other work. In contrast, the “superior” students -students who had been sweet and tolerant before the exercise — became mean-spirited and seemed to like discriminating against the “inferior” group. “I watched what had been marvellous, cooperative, wonderful, thoughtful children turn into nasty, vicious, discriminating little third-graders in a space of fifteen minutes,” says Elliott. Elliott repeated the exercise with her new classes in the following year. The third time, in 1970, cameras were present. Fourteen years later, Frontline (the TV documentary company who had recorded the original experiment of “A Class Divided” also filmed a mini-reunion of that 1970 third-grade class. As young adults, Elliott’s former students watch themselves on film and talk about the impact Elliott’s lesson in bigotry has had on their lives and attitudes. Sandra, who had been one of the children who took part in the experiment, told Elliott: “You hear these people talking about different people and how they’d like to have them out of the country. And sometimes I just wish I had that collar in my pocket. I could whip it out and put it on and say, ‘Wear this, and put yourself in their place.’” Link. She was an interior designer for many years and she is an active member of the New York fashion world, and is very creative. The film shows her collection of beautiful accessories, fabrics, and unique objects d’art collected from a lifetime of travelling to different countries researching and collecting materials, furniture and jewellery for her clients She is full of enthusiasm for fashion and art and expresses her love of colour, texture and design through her clothes, the exhibitions she creates and the public fashion events that she is invited to, where she gives style advice to members of the public. The film is also a portrait of a loving marriage in which Carl, her husband (now 101) and herself, express their deep affection and love for each other in different ways. Link.